Warner Bros. Interactive Entertainment today announced the release of The Phantom Limb Level Pack for LEGO® Star Wars™: The Force Awakens, along with a new video showcasing this exciting downloadable (DLC) content, which is available today as a FREE download download exclusively for players on PlayStation®4 computer entertainment system and PlayStation®3 computer entertainment system. The Phantom Limb Level Pack extends the LEGO Star Wars: The Force Awakens experience, continuing the story from the Trouble Over Taul Level — one of the New Adventures set in the time leading up to the film — after C-3PO’s ship crash lands on the barren planet of Taul, allowing players to discover the thrilling events that led to his new red arm and reunion with the Resistance. This add-on content includes The Phantom Limb (Level), C-3PO (Taul), 2MED2, CO-34, GNK-189, MSE-Y, O-MR1 (Taul),PZ-99 (Taul), VL-44 (Taul), CR90 Corvette (Full-size Vehicle) and CR90 Corvette (Microfighter Vehicle). LEGO Star Wars: The Force Awakens marks the triumphant return of the No. 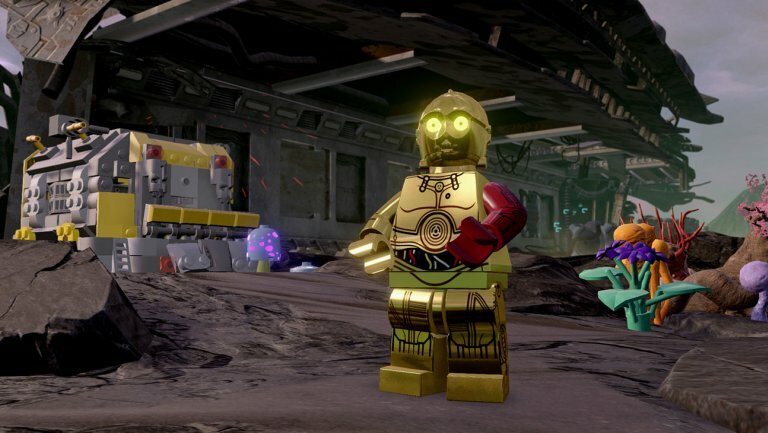 1 LEGO videogame franchise, immersing fans in the new Star Wars adventure like never before. Players can relive the epic action from the blockbuster film in a way that only LEGO can offer, featuring storylines from Star Wars: The Force Awakens, retold through the clever and witty LEGO lens. The game also features playable content exploring previously untold adventures set in the time leading up to Star Wars: The Force Awakens, as well as original dialogue from key members of the theatrical cast, providing the most authentic Star Wars for experience for players, including Harrison Ford (Han Solo), John Boyega (Finn), Daisy Ridley (Rey), Adam Driver (Kylo Ren), Oscar Isaac (Poe Dameron) and other top stars from the film. LEGO Star Wars: The Force Awakens is available now for PlayStation 4 system, PlayStation 3 system, PlayStation®Vita handheld entertainment system, Xbox One, Xbox 360, Wii U, Nintendo 3DS, Windows PC (Steam), Mac (Steam), on the App Store for iPhone, iPad, iPod touch and Mac and on Google Play for Android devices.